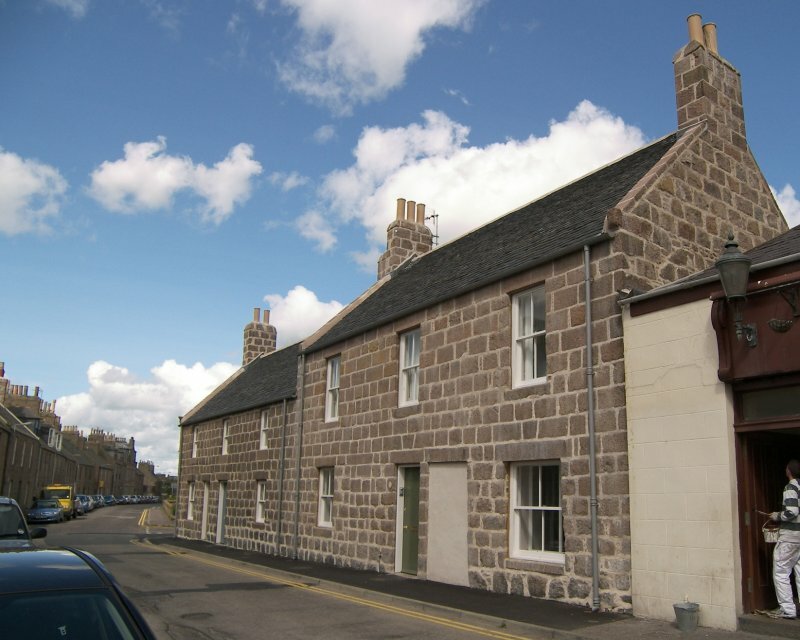 Constructed as a pair of terraced houses on the corner of Threadneedle Street and St Andrews Street, these important examples of burgh architecture were built in the late 18th century when Peterhead was a prosperous burgh town. 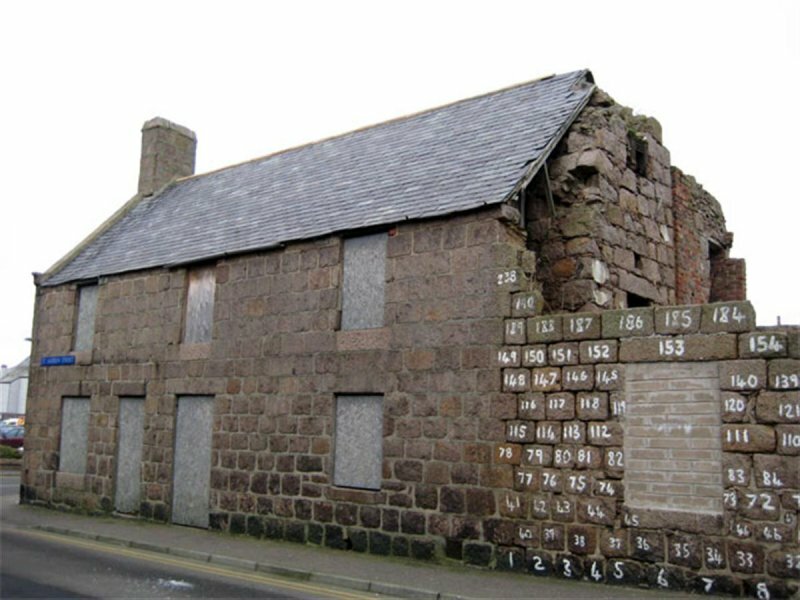 The town is well known as a fishing and whaling port but Peterhead was also much frequented in summer for its opportunities for sea-bathing and the mineral well which has long been justly famed (Robert Forsyth, 1806) as a destination spa town. Having fallen into considerable disrepair and dereliction, the Georgian buildings were added to the At Risk Register in 1994, at which point demolition was proposed. 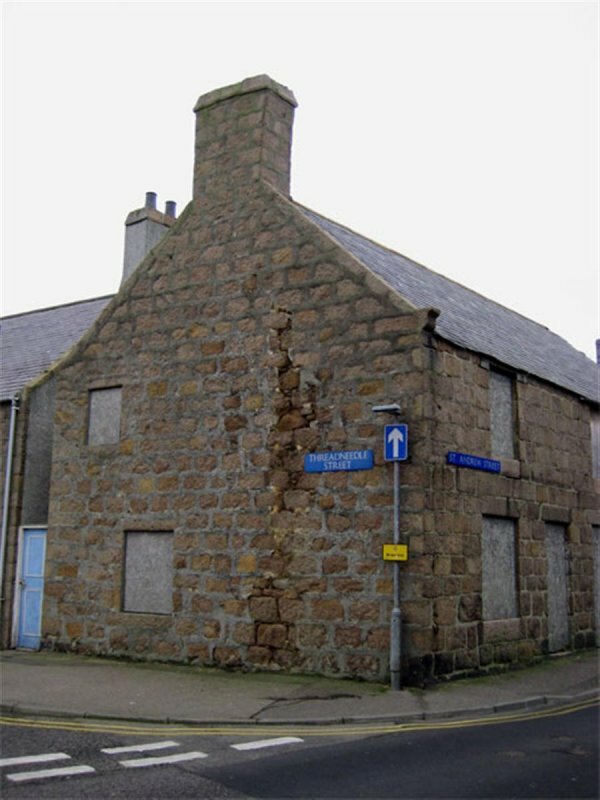 A further demolition application was made in 1998, but neither scheme was advanced. 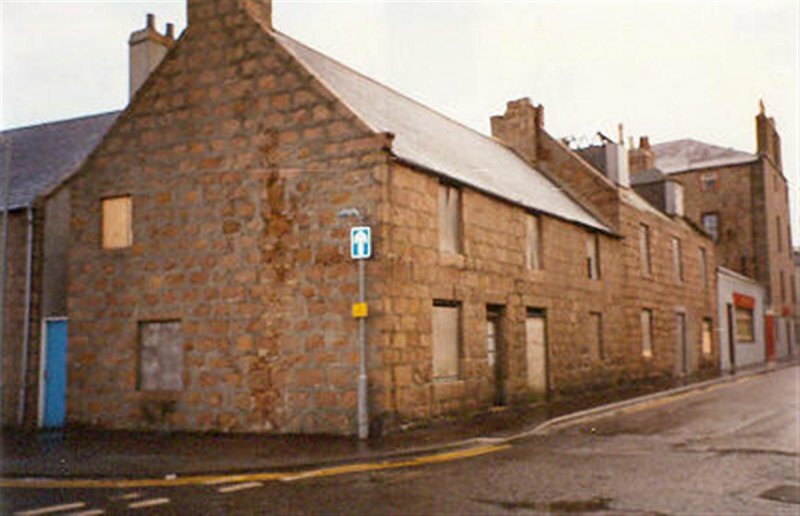 The building's condition continued to cause concern, but was secured following the serving of a Dangerous Building Notice being served by Aberdeenshire Council in 1998. Tenants First Housing Cooperative started negociations with the site owners in 2004. The Architectural Heritage Fund provided funding for a feasibility study for the re-pair and re-use of the buildings. 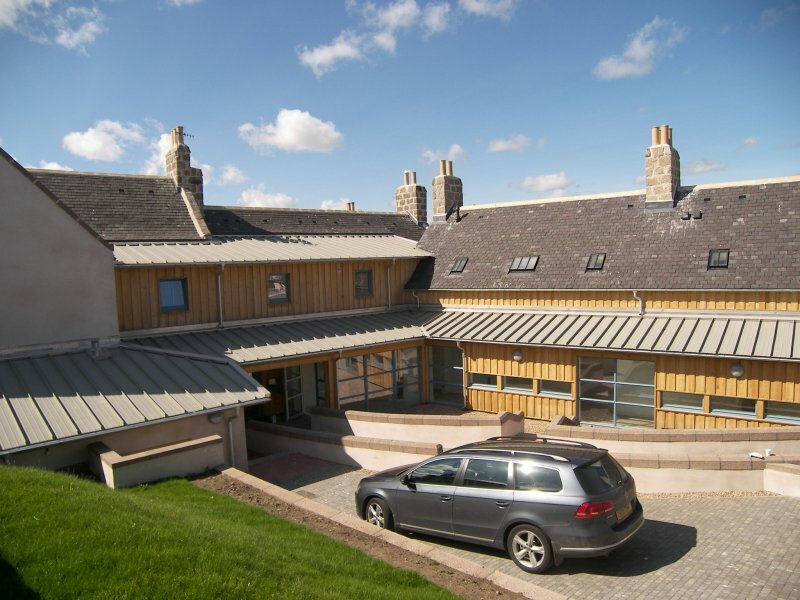 Working in partnership with Tenants First Housing Co-operative, the National Trust for Scotland acquired the properties and worked with care provider Inspire: Partnership for Life to create homes for adults with physical and learning disabilities. 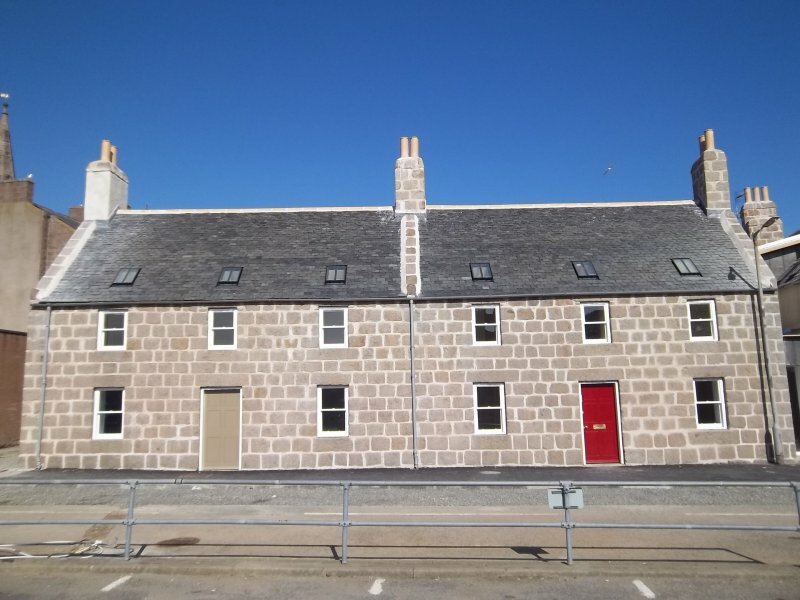 The street elevations were carefully restored to enhance the streetscape and spearhead regeneration in Peterhead's town centre by providing a high quality edge to the town's Outstanding Conservation Area. Internally the ground floor was integrated and provides 24 hour supervision for three individuals. The first floor is now three flats, each with their own entrance, providing housing to those able to live independant lives with the benefit of care available from those on the ground floor. A series of learning and access events provided opportunities for the residents and the local community to engage with the building project and their local heritage. This included the design and production of wrought iron gates with pupils from Peterhead Academy (working with Carn Standing and Paul Starr) and the production of collages by Peterhead Central Primary School (working with Jemima Chillingworth) and a drama production by the Willowbank Day Centre. The project has secured 5 awards to date including the Best Cultural Events (NE Scotland) 2011, Aberdeen Society of Architects award and RICS Scotland 2012 Regeneration Award. The Heritage Lottery Fund, the Christina Mary Hendrie Trust, Historic Scotland, Aberdeenshire Council, the SITA trust, among a number of other contributors.